6. What games do you play most often? : Counter Strike, Rocket League, Minecraft, GTA, Etc. 8. Why do you want to be a part of Tango: I would like to be a part of Tango because I am interested in the programs that it has to offer, and becoming something in a community. I have never experienced this in a community before and I cannot wait to see where this community might take me, as well as increasing my current skills in the programs the community has to offer. 9. Can you donate? (This does not affect acceptance): Yes, and likely will. 11. Have you been on Tango's Teamspeak or Discord? 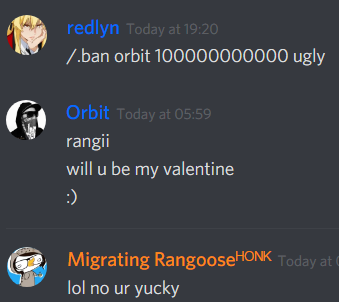 (IP: ts3.tw2.us) (https://discordapp.com/invite/MrV6Hv3): Yes. 12. What Tango Servers do you play? : Jailbreak mainly, but all CSGO servers that have a population. 13. Write a brief background about yourself so we can get to know you better: I am a 17 year old from Illinois, and I started off playing Wizard101 and Toontown, but when those shut down / died off, I began to play minecraft and CSGO. I've been playing Jailbreak since 2016 and am currently working on YouTube making Jailbreak videos. On jailbreak you seem pretty chill, which is rare for that server. +vouch Really nice and chill guy and also taught me stuff about mapping that I didn't know! +vouch. Chill guy, looking forward to see what he does with his time in Tango. +vouch friendly and active on the server! +vouch friendly on jailbreak, and a cool guy! Thanks urbana, and all of the other legends who also vouched above. And that's the goal! I'm gonna keep working on my skills so that I can offer something to Tango, this is a really cool community as far as I've seen so far, and I'm enjoying meeting new people. Awesome guy in teamspeak, and great JB player!